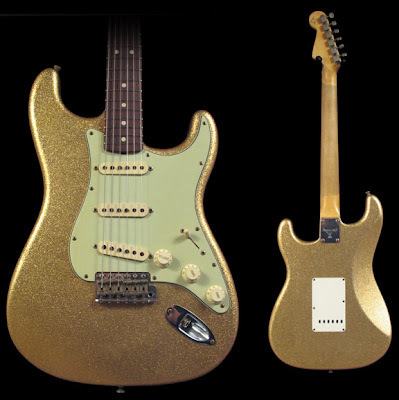 Here's a new Fender Custom Shop Masterbuilt 1964 Relic Reissue by Greg Fessler (now that's a mouthful!). 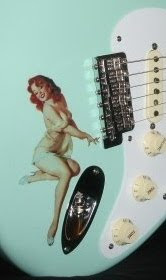 This Strat is currently for sale at The Music Zoo eBay Store. They have some sweet stuff. If you aren't quite ready to spring for a Custom Shop Masterbuilt, check out some of the cool Custom Shop merchandise at Guitar Gear Stores. Maybe a Custom Shop t-shirt, ball cap or coffee mug to make people think you got it goin on. Now that's what I'm talkin' about!